Featuring advanced IPS panel technology, 4K UHD resolution and a frameless 27-inch screen in 16:9 format, this display is designed to impress demanding professionals. The monitor comes equipped with a variety of display connectors, such as HDMI 2.0, and an ergonomic stand for enhanced convenience and productivity. 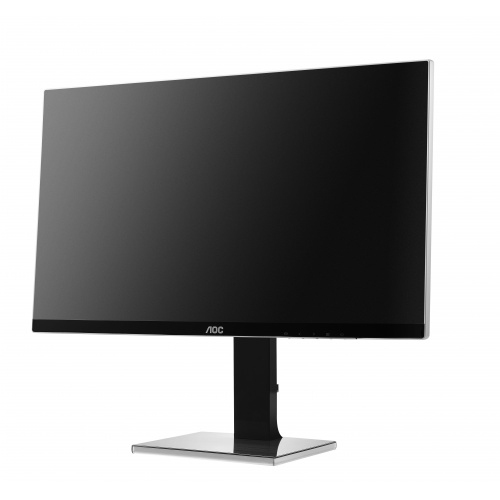 The AOC U2777PQU helps you stretch your productivity to the limits. 4K Ultra HD resolution reveals the finest details on a frameless 27-inch 16:9 screen that is ideal for multitasking. Featuring advanced IPS panel technology, you’ll enjoy accurate color reproduction (100% sRGB, 1 billion colours), wide viewing angles and quick refresh rates, no matter what you’re doing. A range of connectors like HDMI 2.0, DisplayPort and DVI-D makes it easy to hook up your PC, laptop and other devices, plus built-in speakers deliver clear sound for music or video. Whether you’re editing photography, working with CAD/CAM, or designing a new website, the height-adjustable ergonomic stand tilts, swivels and pivots for hours of comfortable viewing.